Carousell is a collaborative project that intends to broaden the discussion of video art through an exchange of video material. The artists involved are Felice Hapetzeder (SE), Kristina Kvalvik (NO), Marit Lindberg (SE) and Henrik Lund Jørgensen (DK/SE). Artists working with video tend to have an archive of unused material. As an exercise in letting go of one’s own footage and authorship, the artists involved exchanged material and giving each other carte blanche to produce something new. The idea of Carousell is to challenge the limits and preconceived notions of what contemporary video art can be. 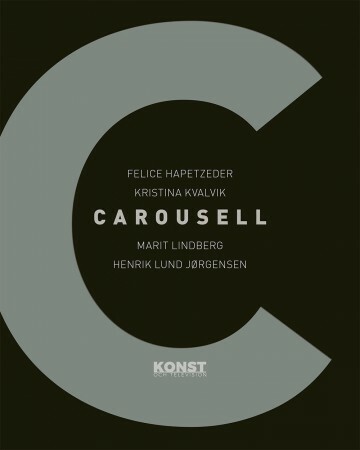 Carousell is supported by: The Nordic-Baltic Mobility Programme for Culture, Nordisk Kulturfond, Svensk-danska kulturfonden, Kulturbryggan, Stiftelsen Längmanska kulturfonden, BOOSThbg & Iaspis.